N-able Patch Management, Keeping your IT system healthy, up to date and secure can be a full-time job, however, we all know running a successful business can mean that finding enough time to get everything done becomes a challenge. Software patches are released to update or enhance the usability of an application, or, more commonly, to fix bugs and security issues that have become evident in use. Network hacks, malware and user error will all affect your operations from running smoothly- this may be temporary, however, without knowing how to deal with these threats, the affects could be long term and extremely expensive to rectify. 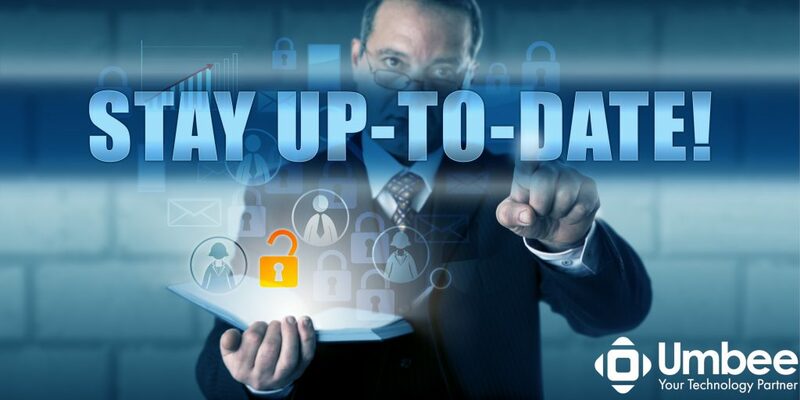 Manually checking for updates to ensure all security vulnerabilities are detected and then scheduled in for download and installation can have a negative impact on day to day productivity. However, there is a reliable and powerful solution to this problem. N-able Patch Management is an automated provision for safe and reliable ‘patching’ of Microsoft servers, workstations, and third-party applications. N-able Patch Manager locates the missing software patch, downloads it and auto-installs it across your business network, an individual machine, or a group of computers- the system is fully customisable to meet the needs of your organisation; this level of customisation is also easily changed if your requirements alter. Whether to locally download patches from windows update and third parties, or to use a probe cache which is a more efficient use of bandwidth, especially when managing a large quantity of devices across a vast network. Environmental sensitivity to rebooting, does it differ between your servers and workstations? Will patches be forced to deploy on booting if the client inadvertently switches off a computer before a patching window has been initialised? What protocol will be used regarding patching on sensitive devices that manage medical, financial, security and point of sale software? These will require specialist treatment when installing a patch and are best left to the professionals to protect your infrastructure. Ensuring patch management does not conflict with other maintenance strategies such as back up, maintenance scripts and AV scans, especially if a forced reboot is to be involved.Once the initial configurations have been made, the system runs automatically to keep you protected without being visible to the end-user or impacting on any part of your workflow or routines. This centralised patch management resource reduces security risks, service interruptions and disasters by ensuring the latest patches are applied with ultimate control over which device receives which patch and when.Your IT infrastructure, operating system and software applications will no longer be under threat from security or operational vulnerabilities due to the short space of time between the necessary patch being identified and being installed. Essential attributes of N-able Patch Manager. One of the really pleasing features of N-able Patch manager is the ease with which the user dashboard can be used and understood. It has a quick view facility of updates that are missing or installed with failures, how severe the potential threat to network or device security is, which servers and desktops are up to date and which have patch installation errors. The UI even shows updates that are installed but are pending a system reboot to complete the patch installation. The dashboard offers dependable and critical information to enable security information engineers and administrators to proactively protect a corporate IT environment. By providing real time reports, the status of patching automations, successes, vulnerabilities, and failures can be used to improve the performance of applications and to pass patch compliance audits; this greatly improves the flow of system information to internal stakeholders and auditors. This dynamic reporting and effortless UI experience provides real value for WSUS deployments; the patch manager can report on over 500 fields of data, utilising over 100 reporting definitions, that can all be fully scheduled, customised, exported and emailed with no SQL knowledge required. This is a real bonus of the system, not only does it fully automate the whole patching experience, but it frees up valuable auditing, reporting and analysing time which empowers your workforce to apply their time and skills on other tasks. Simplified management of WSUS, SCCM and SUP. Patch Manager can be safely installed on a Windows® Server Update Services (WSUS) server, a Microsoft™ System Centre Configuration Manager® (SCCM) server, or on a different server, including cloud based; this offers your organisation a fully flexible choice to configure your system to meet your needs exactly. Patch Manager can work in a stand alone WSUS environment, or with SCCM that has a software update point (SUP). If you have both, N-able can deploy patches to both during the same operations window. N-able Patch Management integrates with Microsoft™ System Centre Configuration Manager® (SCCM) with ease. This integration simplifies the tasking of patch management of Microsoft® products along with seamless software distribution updates from non-Microsoft products. MS and non-MS updates can be complicated to configure during one operation, however, the automation and management structure of patch management delivers accurate and faithful updates and fixes every time. The scalability of Patch Manager across WSUS and SCCM is limitless. Just one Patch Manager implementation will reliably manage unlimited WSUS servers or Software Update Points in SCCM. Pretested, prebuilt packages for third party apps. Researching, scripting, packaging, and testing patches for third party apps is time-consuming at best, and a resourcing and technical nightmare at worst. N-able have a package of ready to deploy patches for dozens of the most widely used business applications. Patch Management also allows you to build your own package for any .exe or .msi app that exists, or for any .msi you want to deploy. This further extends the usability of the product and security of your IT infrastructure of both hardware and software.N-able Patch management provides a wrap round package of care for your IT security, here are some of the top features to protect and streamline operations within your organisation’s IT infrastructure. Keeps your organisation completely up to date with an automated and custom service. Security of IT infrastructure; security patches are applied at the right time to minimise risk. Streamlining the delivery of operating system and third-party application updates through one simple user interface, using a low bandwidth operating parameter to save time and minimise disruption. Continued protection from malware and possible network hacks while maintaining the integrity of third party applications. Enhance productivity with patch improvements for crash fixes or product performance. Comprehensive, regular scanning of your network identifies missing patches and sources the fix solution. Detailed reporting keeps you informed of the patch status to keep you in full control of your enterprise network. Patch management spans multiple domains, IP ranges and servers for efficient and complete patch deployment to all devices, laptops, and workstations to ensure security to all end points; even those in physically inaccessible locations. 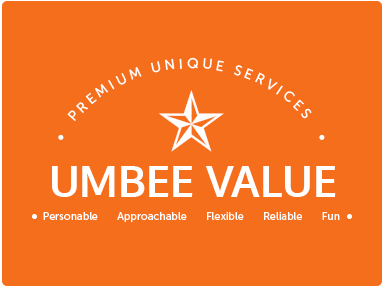 If you feel you would like to harness the power of automated N-able Patch Management into your work environment, please do get in touch with our Umbee Gurus who will guide you through the whole process, from set up through to management or alternatively (click) .